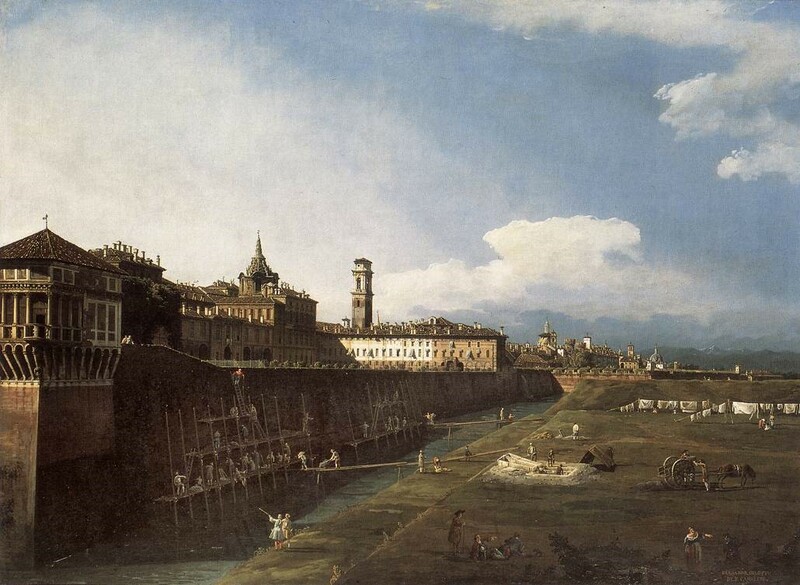 The landscape artist Bernardo Bellotto, a nephew and pupil of the masterful view painter Canaletto, was born on this day in 1721 in Venice, the city that brought fame to his illustrious uncle. Bellotto painted some Venetian scenes but travelled much more extensively than his uncle and eventually became best known for his work in northern Europe, and in particular his views of the cities of Vienna, Warsaw and Dresden. His work was notable for his use of light and shadow and his meticulous attention to detail. His paintings of Warsaw became a point of reference for architects involved with the reconstruction of the city after the Second World War, so precise was he in terms of perspective and scale and the intricacies of architectural features. 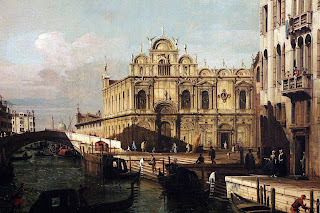 Born in the parish of Santa Margherita in Venice, Bellotto was related to Giovanni Antonio Canal – Canaletto’s birth name – through his mother, Canaletto’s sister, Fiorenza Canal, who married Lorenzo Antonio Bellotto. It was natural for Bernardo to study in his uncle’s workshop and to an extent mimic Canaletto’s style. 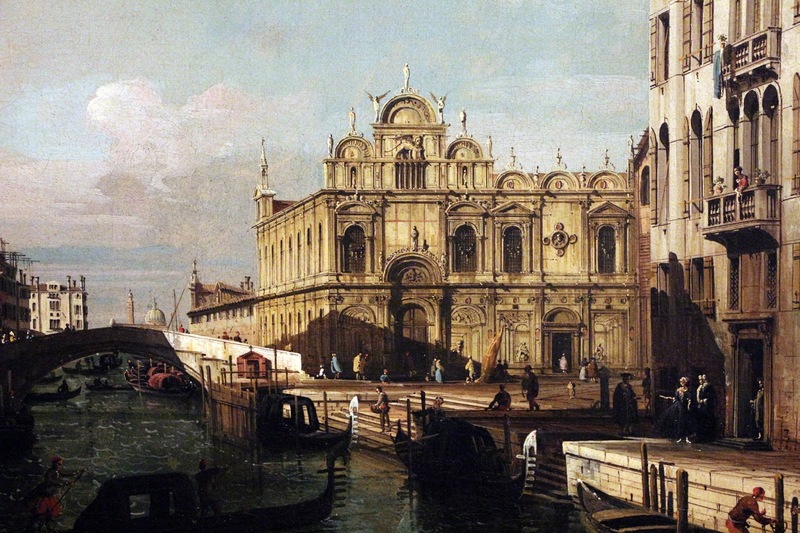 Sometimes, he would sign a painting with Canaletto’s name, which led to confusion later as art historians were occasionally unsure as to whose brush was actually responsible for a particular work. But where Canaletto devoted himself largely to painting in his native city and in England, where he developed a considerable following, Bellotto left Venice at the age of 21 for Rome and spent much of his life away, travelling around Italy at first and then venturing north. 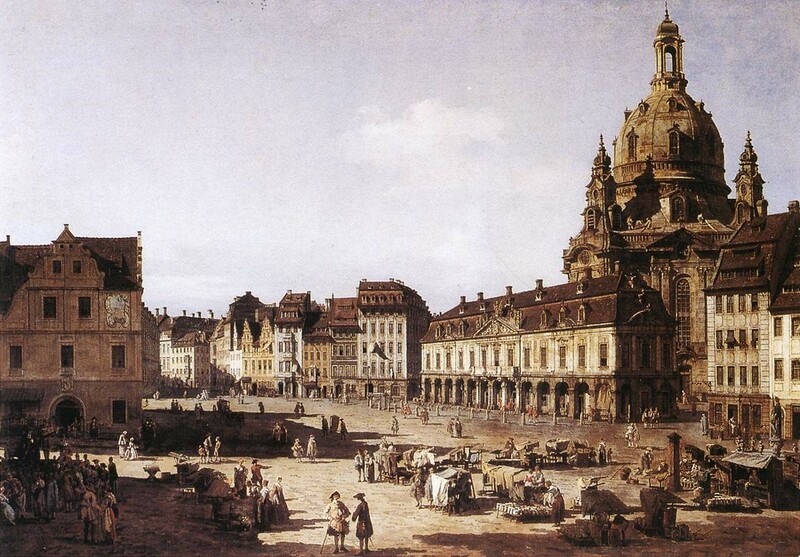 He painted views of Rome, Florence, Verona and Turin before accepting an invitation in 1747 from Augustus III, King of Poland and Elector of Saxony, to become his court painter in Dresden. Those paintings he made of Dresden that have survived offer a glimpse into the outstanding beauty of the city, so much of which was destroyed by bombing during the Second World War. 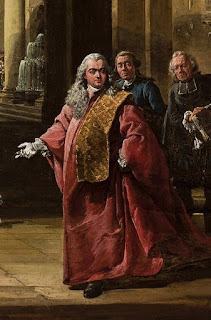 As his fame spread, more invitations followed, to paint for the courts of Vienna, where he was based from 1758, and then Munich, where he moved in 1761. They were timely opportunities, given that the outbreak of the Seven Years’ War forced Augustus III’s court to disperse. 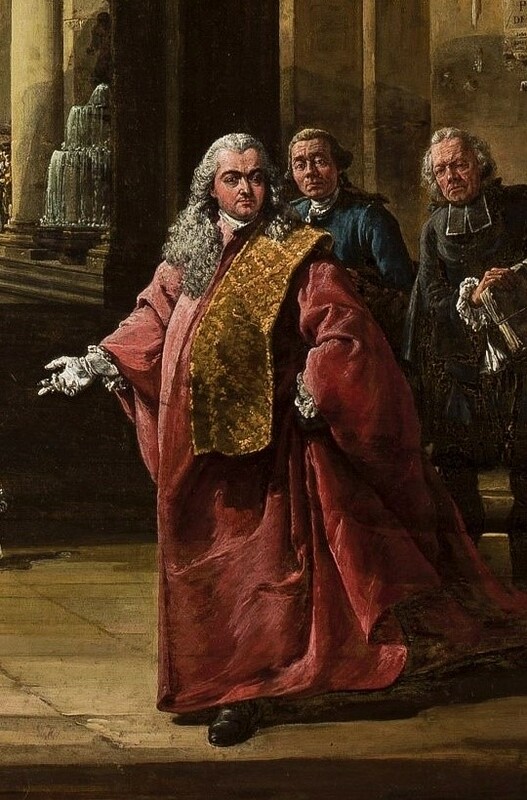 He returned to Dresden after about a year but when Augustus III died in 1763 his importance in the city declined and he left for Russia, hoping to find employment at the court of Catherine II in St Petersburg. Stopping off in Warsaw, however, his plans changed when he received an invitation from Augustus III’s successor, King Stanislaus Augustus Poniatowski, to be resident painter at his court in Warsaw, where he would remain for the rest of his life. He tended to be known as Il Canaletto and signed himself Bernardo de Canaletto. While in Warsaw, for the first time he painted some historical scenes as well as views, including the Election of Stanislaus Augustus, and painted his own image in robes and wig in Self-Portrait as Venetian Ambassador. The position gave Bellotto the financial stability to provide for his wife, Elisabetta, to whom he had been married before leaving Venice, and their four children. He died in Warsaw in 1780 and was buried at the 17th century church of the Capuchins in Miodowa, a street in the centre of the city. As well as his many views of city scenes and real landscapes, in which historians believe he probably made use of the camera obscura technique to achieve exact proportions and perspective, Bellotto was a proponent of the genre known as capriccio, in which the artist would indulge in fantasy by ‘moving’ famous monuments, buildings or ruins so that they could appear in the same view. Many of his pictures can be seen in the Gemäldegalerie in Dresden, the Kunsthistoriches Museum in Vienna and the National Museum in Warsaw. In Italy, there are Bellotto collections at the Gallerie dell’Accademia in Venice and at the Pinacoteca di Brera in Milan. 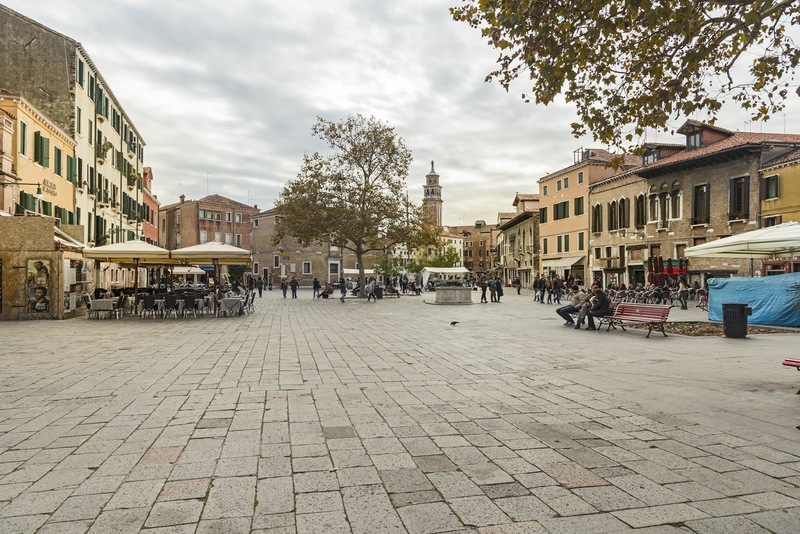 Campo Santa Margherita, the main square of the parish where Bellotto grew up in the Dorsoduro area of Venice, offers visitors a glimpse of a real Venetian life in a neighbourhood away from the hordes that throng Piazza San Marco and the other main tourist locations in the city. A large open space, the square is typically the scene of a local market, with some stalls selling fresh fish caught in the lagoon, and is surrounded by 14th and 15th century houses mostly occupied by Venetians. There are a good number of restaurants and bars, which come to life at night in particular, when the square is a meeting place for students from the nearby Ca' Foscari University of Venice. During his time in Turin, working for the court of Charles Emmanuel III of Savoy, Bellotto spent much of his time around the Royal Palace, the historic house of Savoy in the centre of the city. Built in the 16th century and modernised in the 17th century, the palace complex includes the Chapel of the Holy Shroud, which was built in the west wing and joins the apse of the Cathedral of St John the Baptist. The Chapel was added to house the Holy Shroud of Turin, believed by some to be the burial shroud of Christ, which was owned by the Savoy family for almost 500 years.